Connie is back on the road in this sequel to The Runaway Wife, but this time she has some pals. Connie, Maggie, and Gill meander from England to Italy in a quirky RV, trying unsuccessfully to avoid trouble, but thankfully managing to stay alive! I liked the “journey” quality to the whole book – Canterbury-Tale-ish, meeting various characters along the way. But I had to suspend my disbelief just a little too much when the ladies “coincidentally” managed to avoid a certain stalker, like 50 times. Just a little too orchestrated. What can’t be beat is the cross between girls’ night and a road trip for the memory books – and some big laughs along the way. Love the luxuriousness and glamour that this book exudes – like Hughes’ others. Lily and Oliver were a cute couple, even divorced, so I enjoyed their banter and rapport. 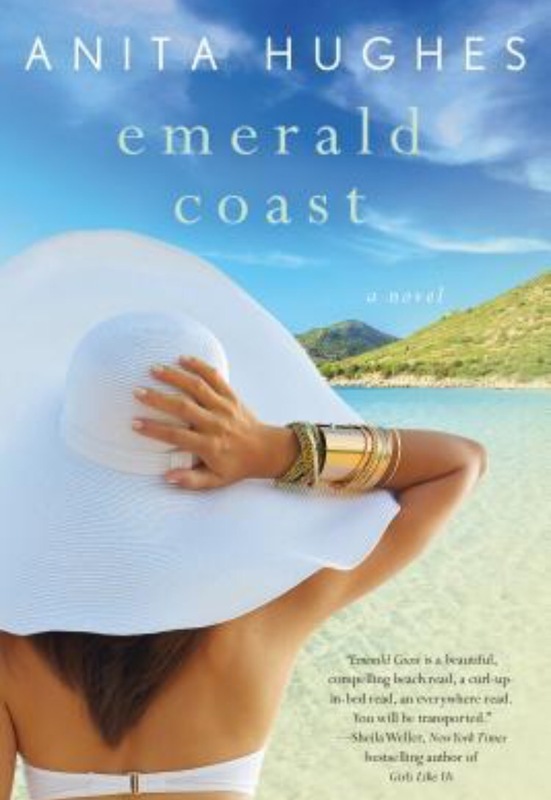 Unfortunately, Emerald Coast was a little too predictable even for me, and I wasn’t a fan of the cliched reasons why Angela and Ricky were looking for a mate. 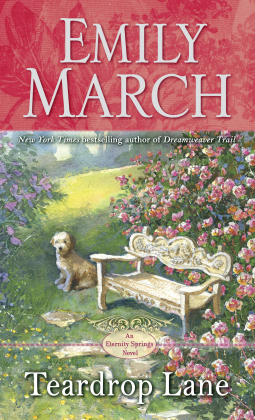 I’ll always love Anita Hughes for her rich descriptions, beautiful writing, and memorable scenery. I just wasn’t cut out for the plot of this particular story. However, I still feel sorry for one girl…so much so that I want to shake her because I am so angry. Elena is like another Melanie (GWtW) and Lily is Scarlett…I don’t have much patience for either type of girl really…. There are other ways in life to survive…. 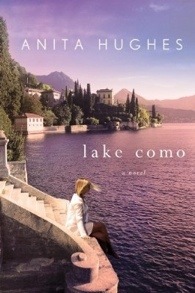 I loved Lake Como by Anita Hughes and was so excited for another great summer read set in Italy. 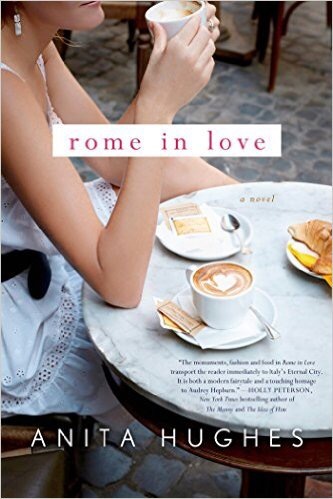 Rome in Love is the story of Amelia Tate, movie star on location in Rome. She meets a handsome man, and then needs to resolve a couple of challenges: one, she told him she was a maid; two, she has a fiancé; three, she keeps drinking too much champagne and passing out in the handsome man’s presence. Hughes includes flashbacks to Audrey Hepburn via letters from Hepburn to a friend, and she also writes a subplot involving a princess who falls in love with someone other than the pre-arranged Prince-to-be. I loved the on-location descriptions and “seeing” the sights with Amelia, Philip, Sophie, Theo, Veronique, and Greg. Traveling in Italy was wonderful — and no jet lag for me! While I enjoyed all the threads of Rome in Love, it could have used some editing. It seemed every chapter began with a description of someone’s attire, with lots of brand-name-dropping… and most chapters ended with Amelia falling asleep. Too repetitive for me. Also, how many times does a young woman get drunk, pass out, and find herself in the same strange man’s apartment before she decides to stop? She was in a foreign country! I had to suspend my disbelief just a little too much. Nonetheless, I was so enamored with the romantic gazes over espresso and the delicious food descriptions that I’ll be reading the next Anita Hughes novel, for sure! Lake Como has been on my wish list for months. Yesterday I saw it was on sale for $1.40 so I scooped it up as any book lover would. It’s STILL ON SALE TODAY, and worth every penny & more! Reading Lake Como was like sitting in the lap of luxury. You wouldn’t know Hallie was born with a silver spoon in her mouth unless you met her grandmother Constance, a well-connected part of San Francisco society. And you wouldn’t know Hallie was related to royalty unless you visited her half-siblings in Italy. She’s down-to-earth and still finding herself among families who have hidden the truth for years. Anita Hughes introduces the reader to the worlds of cocktail dresses, gala balls, charity events and exclusive restaurants. We see that no matter what the wrappings are, people are still people underneath – with wants, needs, fears, and flaws. 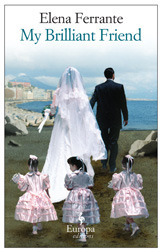 In Lake Como we meet Hallie’s potential love interests, her Italian family, and her loving American mother, Francesca. We see Hallie develop her professional life, connect with her half-sister Portia, and experience personal growth. My heart broke for Hallie and Portia when they endured break-ups with men they thought they’d be with forever. And I almost cowered when the grandmothers barked their orders. But I smiled with contentment when Hughes brought me to the shores of Lake Como, with its dazzling reflections and dancing eddies. Full of exotic romance, hyped up family dynamics, and luxurious settings, Lake Como is one of my favorite light reads of the year. Rose is a small-town physician who always keeps her cool. Unless she’s alone – and then she grieves her demons. Cicero is a brooding, passionate glass-blower whose temperament can be as hot as the furnace. Through the love they have for Cicero’s nieces and nephews, Rose and Cicero see past the facades and fall in love. Sometimes love isn’t realistic, though, and a relationship might not be in the cards. As usual these days, what I really loved about this romance was the inclusion of familial love and loyalty. Rose and Cicero put the children first, no matter what. It was also fun to read about glassblowing. March did a wonderful job describing the process and the resulting art – so much so that I could envision each glass piece as Cicero created it. Even though Cicero wasn’t the expected alpha hero type that I usually read, I enjoyed this love story for its warmth, fantastic locale descriptions, and the art of glassblowing. Oh my goodness I have read so many mediocre books the past two weeks that I ended up in a book slump. 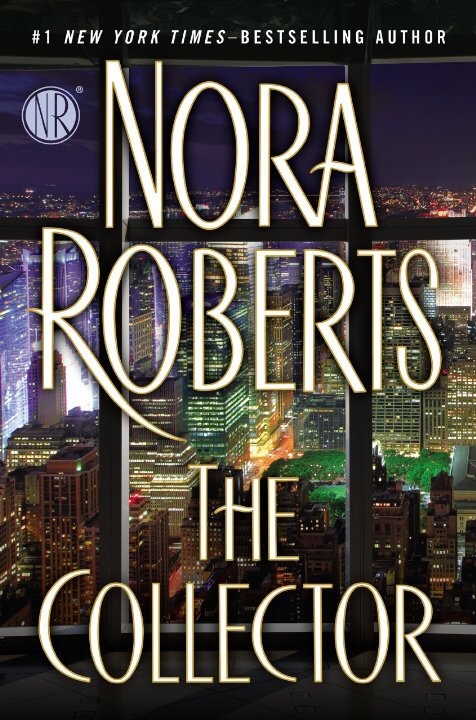 Thankfully a beautiful friend lifted me out of it when she gifted me The Collector. This romantic suspense was the perfect combination of sweet, thrilling, corrupt, and amateur sleuthing. Right up my alley. Writer Lila and artist Ashton befriend each other after a horrific murder. While they work together to solve the mystery and get the bad guy, they fall in love. But Lila is independent, a free spirit. Ashton comes from a large, interdependent family and pushes his “helpfulness” onto Lila. While the romantic tension puts a cramp in their relationship, it doesn’t stop Lila and Ash from exacting revenge on the murderer. Their perseverance is a little implausible at times, but very exciting! The only thing I didn’t like about this book was Ash’s bossiness. It came off as mean, even though he really cared about Lila. I ended up not liking Ash at all. And that’s sad for me, because an alpha hero is often the best part of a novel! All in all, The Collector was a welcome addition to my December reading. Great writing, an exciting plot, luxurious descriptions, and international travel all created the perfect base for this romantic suspense.